Take back the web and have some fun sticking it to the man. You control search, not the Sultans of Silicon Valley. With our Crawl and Deliver plans you can gain visibility in Jambot search results. Set it and forget it! With crawl fees starting at 5 dollars (up to 100 pages), you can again see your web site in our set of search engine results. 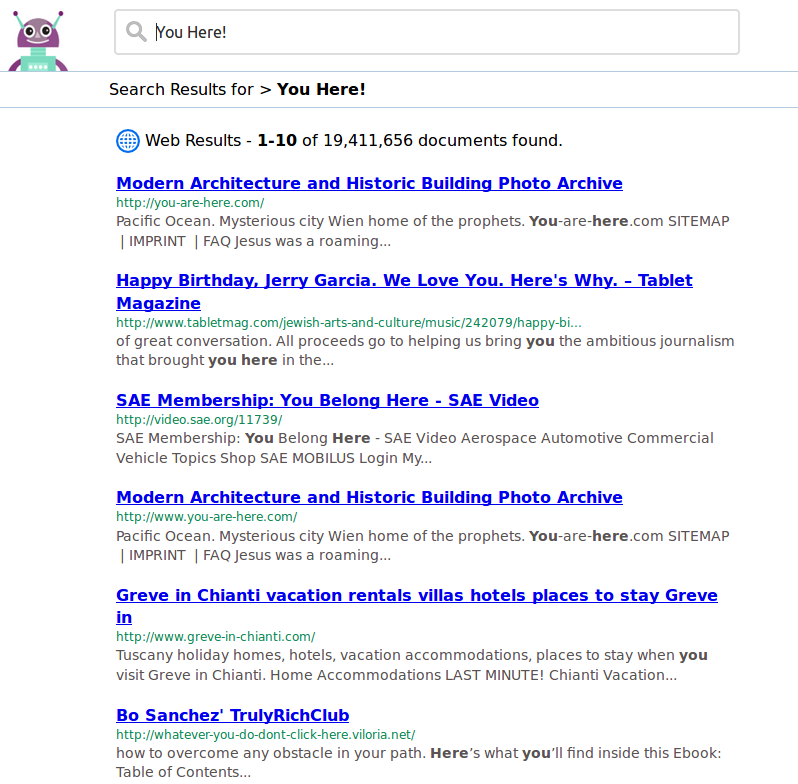 Crawl and deliver results to Jambot search index (one domain, up to 100 pages).